A lot has changed at the Mobile County Communications District over the past year, and those changes have some members of the MCCD board reconsidering an agreement made by their predecessors. Currently, the board is weighing whether to make good on a promise to buy the current facility used by the Mobile County Emergency Management Agency (EMA) on McGregor Avenue before it’s abandoned by 2018. A digital rendering of the Emergency Operations Center Mobile County plans to open by 2018. 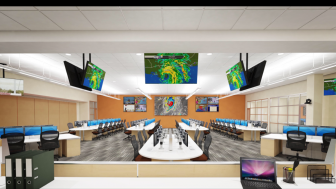 Back in May, county officials announced a $10 million plan to replace the 64-year-old facility with a new emergency operations center on the same campus as the MCCD Communications Center in West Mobile. The funding for the project is coming from a hodgepodge of sources, but in March 2015, the MCCD voted to throw its own $1.5 million behind the project by agreeing to purchase the EMA’s current facility. Mobile Public Safety Director Richard Landolt was appointed to the MCCD board after that vote was cast. Landolt serves on the EMA board as well, and Last week he raised a year-old question: Why does the MCCD need a backup facility? Landolt was not alone in scrutinizing the agreement. Newly appointed Director Charlie McNichol described the MCCD facility on Zeigler Boulevard as “secure and solid,” adding that, “short of a plane crashing into the building,” he can’t see any situation where a backup facility would be necessary. He also said he wasn’t sure it would be a good expenditure for the board. Currently, the MCCD has earmarked around $1.5 million in its budget for purchasing the old EMA facility — money routinely been set aside in the MCCD’s budgeting process for the last six years in anticipation of this deal. However, for the first time board members are asking their attorney to find out exactly what they’re “on the hook” for legally to gauge how feasible backing out on that promise might be. Now, more than a year after the issue was last brought up, board member Robert Adams says the changes in the MCCD’s makeup “demand the commission revisit” its decision to purchase the building at its appraised value. One of those recent “changes” at MCCD is the termination of former director Gary Tanner, which the board approved in February after the results of an internal investigation led to “a lack of confidence” in his ability to lead. In addition, at least four board members have been replaced since March 2015 — a trend that started just as Mobile County Engineer and founding MCCD member Joe Ruffer resigned from the board over concerns of a possible conflict of interest due to his place on multiple county-appointed boards. The Alabama Ethics Commission later cleared Ruffer to serve on such boards. He has since been reappointed to the EMA board, despite having served on at least three others previously. As Lagniappe reported, the investigation that preceded Tanner’s ousting produced a report highly critical of Ruffer and Mobile County’s Director of Public Safety Communications, Eric Linsley. Despite not being an MCCD employee, Linsley was regularly involved in MCCD operations. Most notably, he was heavily involved with a $40 million contract awarded to Harris Corp. for upgrades to the emergency communications network used by first responders in Mobile County. Linsley previously led a team of county employees that were planned to transition to the MCCD and out of the civil service system. However, those plans were abandoned sometime between Ruffer’s resignation and the highly-publicized investigation into the Harris contract. The county has never given an official reason why those plans were abandoned, but last week board member Trey Oliver said the EMA facility on McGregor was at one point considered as a location Lindsley and “his crew” could work out of if the personnel swap had panned out. Landolt brought up the issue so the board could be prepared when the building eventually becomes available in hopes of either forgoing the agreement, selling the building once it’s purchased or finding MCCD a good use for it. 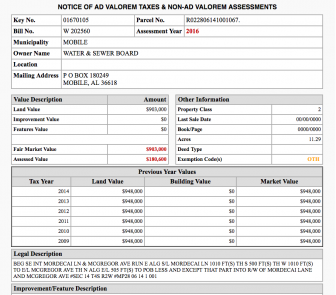 Right now there is still roughly $1.5 million set aside to purchase the property, even though the Mobile County Revenue Commission lists its fair market value at just over $900,000.Either way, buying the building and re-selling it could prove tricky because the actual property is owned by the board of the Mobile Area Water and Sewer Service and has tight restrictions on what it’s approved to be used as. With money for the new emergency operations center coming from the city, the county and other sources; it’s unclear how much impact removing the MCCD’s planned contribution would have on the project. 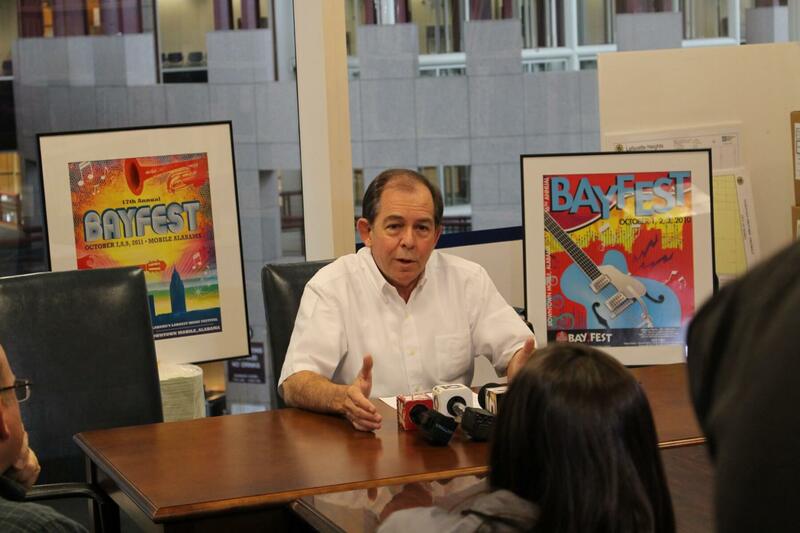 County officials declined to comment but did confirm bids for the project were officially opened June 22. With the county having already received multiple extensions for related federal grants, constructing the new EOC will be time sensitive. Last week McNichol said the sooner the MCCD board makes a decision on those old promises, the sooner they can let the county and the EMA know what money they’ll have to work with. 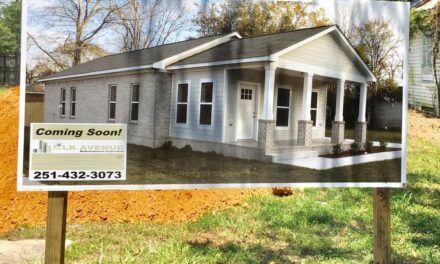 Updated on June 29 to fix typographical errors and correct the date Mobile County’s Public Works Department received bids for the construction of the planned Emergency Operations Center.